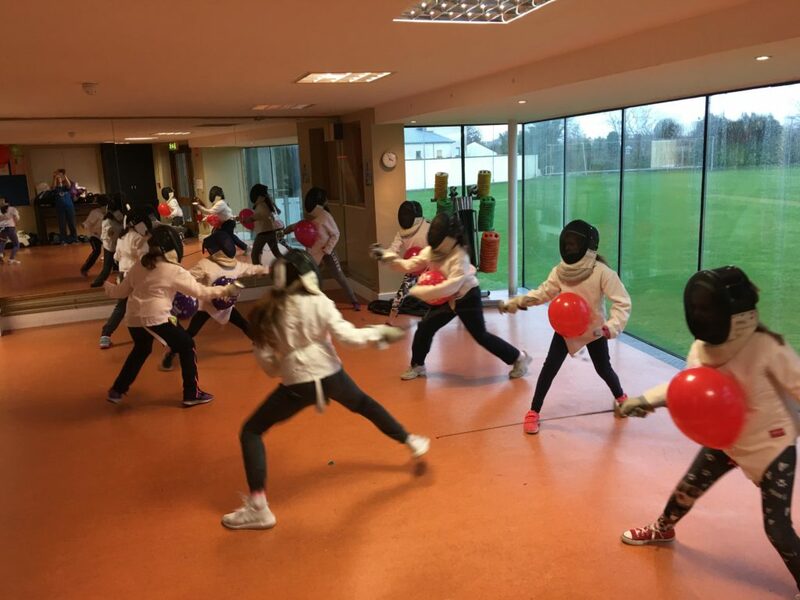 Pembroke Fencing Club offers a unique party experience for your child’s birthday. No experience required! Let their imagination run wild to create a great adventure through this Olympic sport. Our professionally trained staff will teach your party guests the sport of Olympic fencing in a safe and fun environment. We provide all the equipment needed (jackets, masks, and fencing foils) for a non-stop sword fighting birthday extravaganza. We’ll suit everyone up in jackets and masks, teach the basics of fencing and play group fencing games. With team games and fun props, your child’s party is sure to be one to remember. We provide one or one and a half hours of fencing fun at your home. If you do not have the room for fencing event, we can organize to hire the hall or you can yourself find the hall. Firstly, the instructor shows the children how to stand, move, attack and defend (fencing style). Finally, they are shown target areas and safety. Next, they are suited up in the fencing gear and then they begin the fencing games. The games are played one against one and group against a group. Choose from the packages below or contact us to discuss your individual requirements. Please reserve a date 2-3 weeks in advance. In order to reserve your party, a €50 nonrefundable deposit is required.